It might be unusual to hear the word “a contemporary jewel” in Japan. The works, which are evaluated in terms of concepts or messages that artists create, are called “a contemporary jewel.” In a contemporary jewel, the value of stones or precious metals does not matter. It is the same sense of the painting world where a work is not evaluated in terms of its canvas or the value of colours. A shop called “Deux Poissons” in Shibuya deals with the contemporary jewels. I had a chance to talk to Ms Mori, a buyer of this shop. She goes to European countries to buy works several times a year. These selected jewels are not only interesting or cool, but also are conceptual. She told me that she could understand concepts and producing attitude of creators by directly seeing them. Here are some recommended works from her. 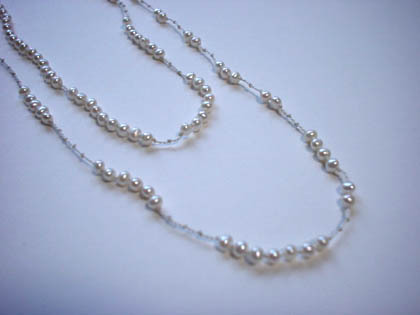 This pearl necklace actually shows Morse codes. 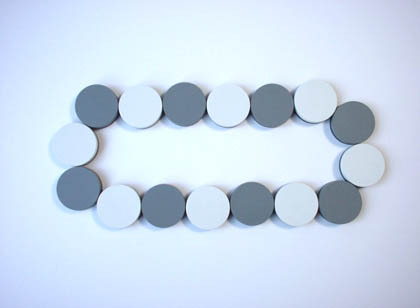 Two codes, a long and a short, are combined in order to make the words “one minute.” The message, with the importance of the invisible time, has been put in this work. 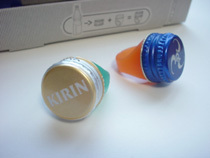 Plastic bottles have been recycled but how about bottle caps? 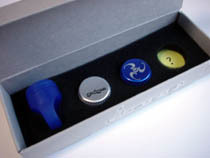 These gadget rings are made with both plastic bottles and bottle caps. 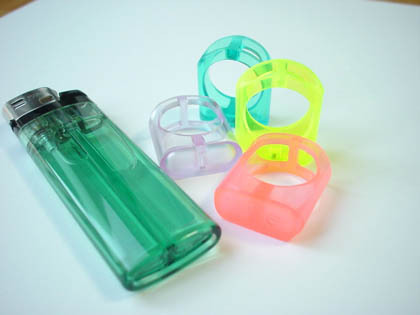 A ring part is a recycled material from a plastic bottle and you can put a bottle cap at the top of the ring. It is fun to know this sort of a unique work can be made from 100% recycled. Of course, a package is also made with recycled papers. Jewels are generally understood as practical accessories (gold, silver and platinum) in order to make youself up. However, Maria Hees does not think them in this way. She creates jewels from materials that can be found around you. This work made with rubber is titled as “Soft Power.” You can enjoy not only this hard-looking-design but also the soft touch that the material has got. 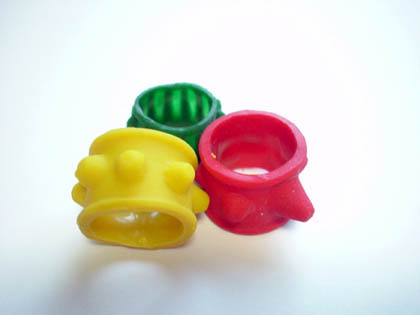 These rings are made with lighter cases. A transparency feeling of a plastic looks cute. These sort of industrial products still keep unknown possibilities to themselves. Therefore, it is able to create new jewels by seeking them. They are pot stand with a bit unique sense. 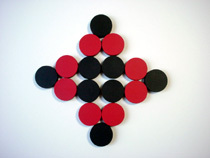 The shape of it is changeable as you like. You can make it bigger when you put a big pan and for a small pan, you can also make it smaller. It is a very jewel to decorate a table. Artists are challenging to create “the accessories that are evaluated in terms of not only the value of its material but also making people’s feeling rich.” I feel something that is beyond the border of the usual jewels from these works. 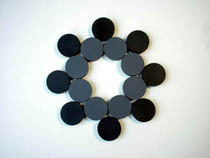 The contemporary jewels might be the ones that can be objects with a strong decorative taste. I guess how artists feel about wearing them and the relationship between jewels and people would be a key idea. This genre will be more interesting in the future.